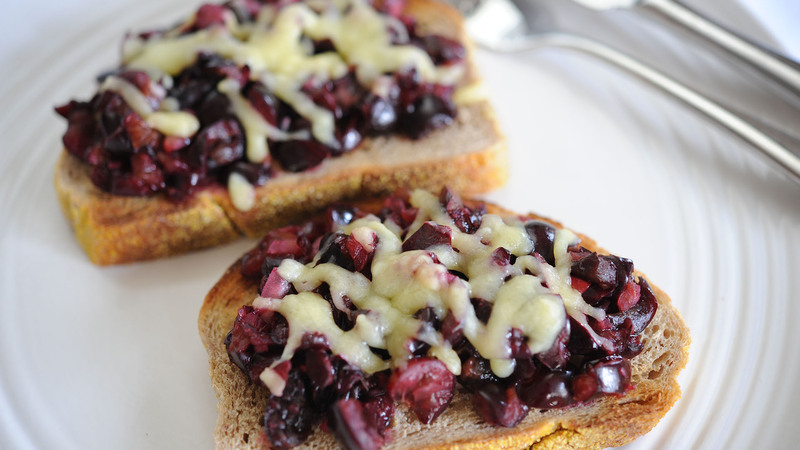 Rich in antioxidants and a great source of vitamin C, cherries make this bruschetta extra delicious. 2. Brush toast with olive oil. 3. Combine cherries, onions, lime juice and remaining olive oil; mix well. 4. Top each slice of toast with tablespoon of cherry mixture. 5. Sprinkle mozzarella and grill until cheese melts.